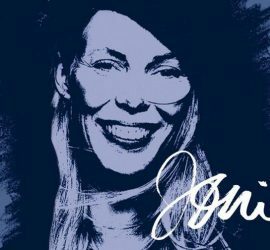 JT will join a long list of performers for “Joni 75,” a two-night concert in Los Angeles celebrating Joni Mitchell’s 75th birthday. In addition to JT and of course Joni, other performers will include Brandi Carlile, Glen Hansard, Emmylou Harris, Norah Jones, Chaka Khan, Diana Krall, Kris Kristofferson, Los Lobos, Graham Nash, Seal, and Rufus Wainwright, The concerts will be held at L.A.’s Dorothy Chandler Pavilion on November 6 and 7, with tickets available now. The concert may eventually air on TV, but there’s no confirmation yet. See the TOUR page for ticket details. Update: See Billboard.com for a wrap-up and video clips.